New Orleans was the place for goth people to come, and they came from all over the world. The pair bought an imposing abandoned two-story house at 5219 Magazine Street, fixed it up, and painted it a deep, brilliant purple with black trim. The sign above the door, reading “Westgate Necromantic Art and Books,” was printed in arching, craggy font, reminiscent of the letters over the gate at the Arkham Asylum in Batman comics. To anyone strolling or riding through the leafy, residential stretch of Uptown, the house was an immediate eye-catcher, a beacon of the intriguing strange. New Orleans, gothic and macabre, was much more Wendell’s speed. The name “Westgate” came from a concept Wendell introduced in her book Our Name Is Melancholy: The Complete Books of Azrael: the four cardinal directions represent spiritual “gates,” or transitional points in the universe, and the West gate—the direction of sunset—is the death gate. Wendell wrote the first version of the book, a lyrical combination of memoir and romantic meditation on death as a being, in the late ’80s, after choosing the Westgate name as the umbrella for her creative efforts (the book has been updated several times since with extra chapters). With its evocative aura of looming spookiness, the name, serendipitously, was also perfect for the haunted-looking Victorian manse on Magazine. The ’90s were a particularly fertile time for the culture of darkness in New Orleans. Trent Reznor, the mastermind of the sui generis electro-industrial pain-rock project Nine Inch Nails, opened Nothing Studios in a former funeral home on Magazine Street in 1994; the grinding shock-rock group Marilyn Manson lived in New Orleans for a chunk of the following year while recording with Reznor. 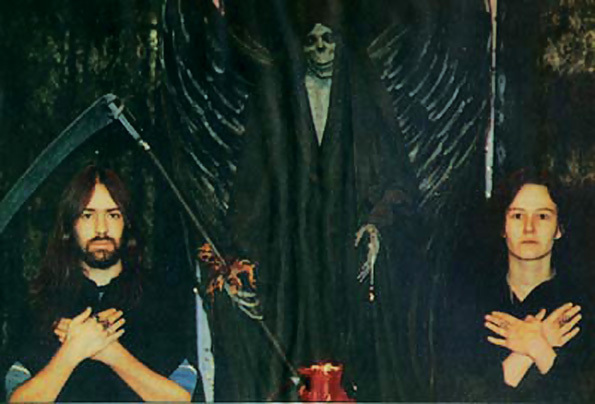 (During that stint, Marilyn Manson bassist and guitar player Twiggy Ramirez told a reporter for Guitar World magazine, the band picked up the unpleasant hobby of collecting bones from neglected local cemeteries.) Bestselling vampire author Anne Rice, then a Garden District resident, housed her collection of more than twenty thousand antique dolls in a Napoleon Avenue mansion and onetime orphanage. Lower Decatur Street bars like the Hideout, the Abbey, and the Blue Crystal attracted vinyl-clad, black-lipsticked death-rockers much like the characters that horror novelist Poppy Z. Brite conjured up from a desk in Central City. 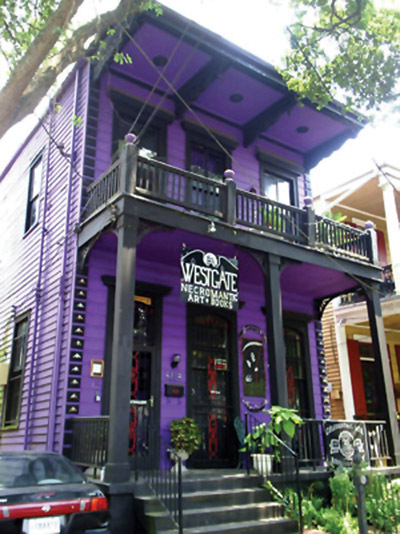 Suggesting that Westgate had become well known in the goth world, a 1996 issue of Brite’s newsletter Purple Proze answered a list of reader questions including “Have you visited Westgate; do you know Leilah Wendell?” Brite had given readings at the house, and hosted Wendell at a Halloween party, Brite replied. Indeed, Wendell had gained a new level of notoriety. She was interviewed, anthologized, and profiled in popular underground publications like EsoTerra (“The Journal of Extreme Culture”) and Apocalypse Culture, outlets that investigated cults, drugs, true crime, conspiracy theories, body modification, sexuality, and fringe art in an alt-culture climate defined by AIDS, the internet, new waves of feminism and punk rock, and the immediate aftermath of a recession and the first Gulf War—a critical mass of nihilism, energy, and weirdness on the eve of the new millennium. The thanatological art and poetry Wendell had been creating and curating since the ’70s—on view and for sale at Westgate—drew interest, but so did her personal, real-world investment in the topic. That is to say, Wendell, who had studied mortuary science in New York, became a fairly high-profile representative for necrophilia. Like Twiggy Ramirez, she had taken advantage of lax security at New Orleans’ less well-tended cemeteries, and—passionate to connect with the angel of death—sought out human remains as her portal. Her interactions with the dead were, as she described them, PG-13 in nature: kissing and caressing decaying flesh and bones in a bid for supernatural consummation of her relationship with Death embodied. The subject of several radio interviews, which are available online, Wendell gamely took cues from her hosts: on the early internet radio talk show The Dan & Scott Show, she rolled with being presented as a wacko and described corpses in different stages of decomposition as “gooey Louies” and “moldy oldies.” During a slightly more serious panel discussion broadcast on the station WBAB, she debated whether the intimacy she enjoyed with the dead could be seen—as she viewed it—as consensual. 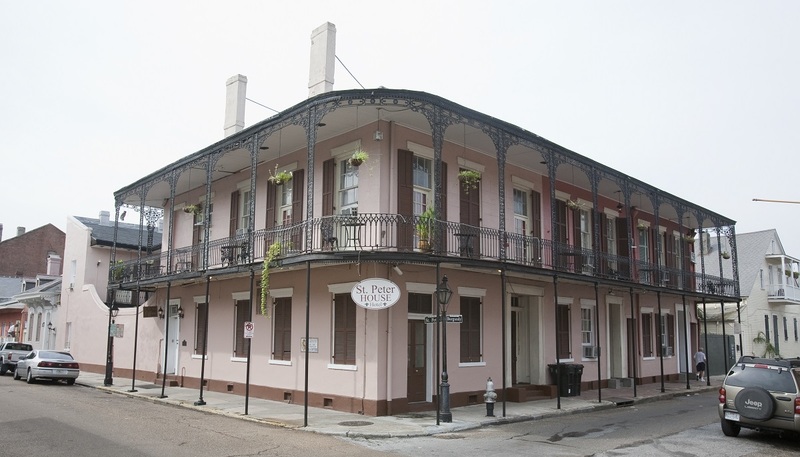 After Hurricane Katrina, unable to afford repairs on the damage to the Westgate house, Wendell and Kemp left New Orleans for Opelousas, where they continue to maintain westgatenecromantic.com. The website still has an active message board, unusual in the era of broader-platform social media; Wendell still gets hundreds of emails a week, and fans post daily in forums dedicated to poetry, photos, music, movies, gaming, occultism, and personal encounters with death incarnate. The site is also a platform for the couple to distribute their visual art and books published under the Westgate imprint, as well as jewelry, lamps, CDs of Kemp’s music, the Gothic Tarot deck Wendell designed in 1998, and various other crafts and publications. 5219 Magazine Street, within walking distance of the Arabella Station Whole Foods Market, is currently painted in a palette of neutral grays and is divided into four condominium units. None of them are currently on the market. Alison Fensterstock writes about American culture for outlets including NPR, Pitchfork, the Oxford American and others. She has served as the music critic for both Gambit and the Times-Picayune in New Orleans and was the founding program director for the Ponderosa Stomp Foundation. 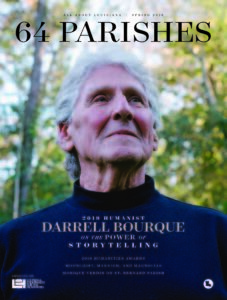 A brief history of Process Church's time in the French Quarter.